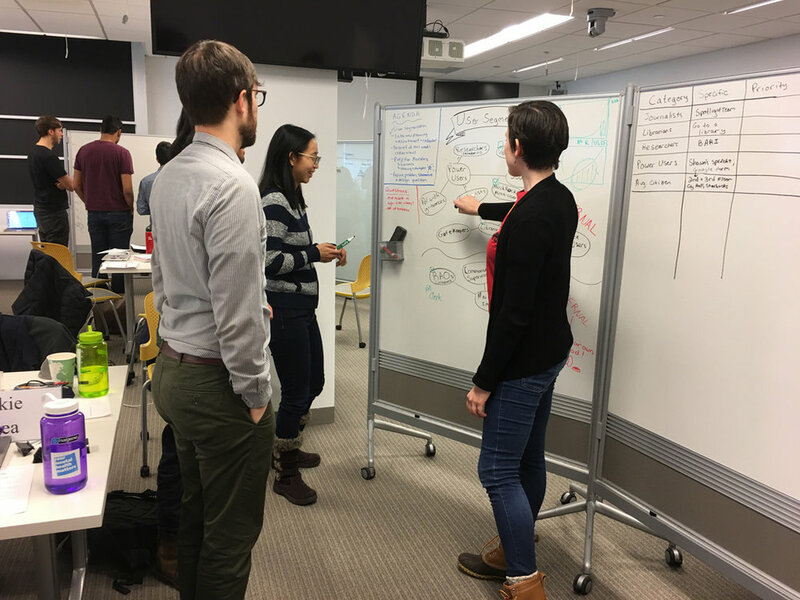 What happens when Harvard students team up to solve real government problems using user-centered design and “lean startup” principles? Working in the creative environment of the Harvard Innovation Lab, student teams collaborate with government clients to understand the problem space and develop real solutions. Weekly lectures from leading practitioners supplement co-working sessions with the teaching team. With topics ranging from user-centered research, prototyping, and storytelling, students learn by applying concepts to their client problem. Led by Nick Sinai, former Deputy CTO of the United States and adjunct faculty at the Kennedy School, students in DPI-663 learn how to hack the bureaucracy with empathy to achieve maximum impact. As a field course, DPI-663 provides students with the opportunity to work in the local community. Whether it's patrolling with the Boston Police gang unit, interviewing parents of children in the Boston public schools, or talking with Veterans at a local VA hospital, students are challenged to truly understand the needs of people -- before they start designing solutions or making recommendations. Students from past classes report that the team experience outside of the classroom is one of the highlights of their academic experience at Harvard. Interdisciplinary teams of five students are drawn from across Harvard. Past students have come from HKS, HBS, GSD, SEAS, HLS, and the College. Close collaboration with government clients provides a unique opportunity for students to work alongside a local, state, or federal government agency. For a full list of past projects, view our homepage.